With ever-depleting resources posing very real threats to life as we know it, renewable energy is becoming a more prevalent option in the HVAC industry. In addition to reducing the negative impact on the environment many of these options can also reduce the damage to your bank account. 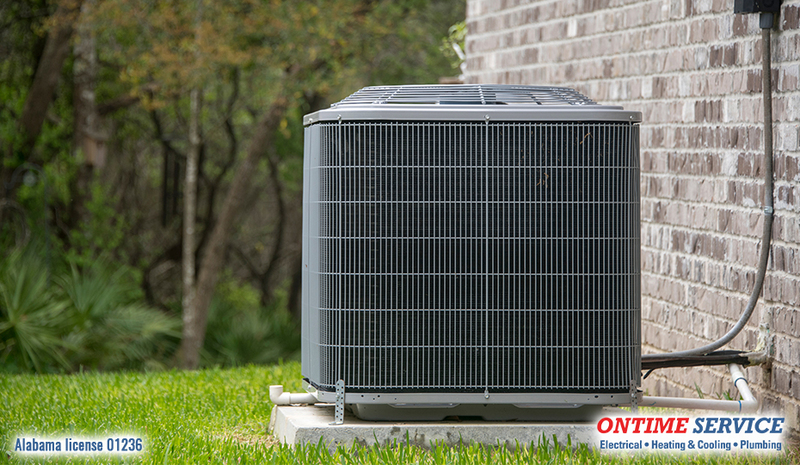 To help you learn more about how this new technology can benefit you, the pros at OnTime Service are here to tell you about some renewable energy resources for your HVAC system. If you want to go completely off the energy grid, consider a stand-alone system. Designed to operate independently, a stand-alone system does not need an electric utility grid. Most stand-alone systems store energy through batteries. Contrary to stand-alone systems, a grid-connected system is designed to operate parallel to the energy. These systems use photovoltaic cells to generate energy from the sun. Then, a grid stores this energy as AC power. Another low-cost alternative, thermally-driven AC uses chillers powered by solar energy. If need be, natural gas can supplement additional energy. This type of AC features solar panels that draw in thermal heat. Then, that thermal or solar energy is used to drive a double-chiller system. Working in harmony with the earth, a geothermal system uses subterranean temperatures to generate heat or cool air. Because the bottom of the earth’s crust stays consistently over 1000 degrees, these surfaces have high potential for geothermal energy. As a result, these hot temperatures provide steam-powered energy that’s collected through geothermal plants. Then, it uses that steam to operate turbines that generate electricity. Typically, a geothermal system includes an indoor handling unit and system of pipes buried in the earth. These pipes pump constant geothermal energy into a re-injection well. Another energy-efficient option is an ice-powered AC system. By switching from an “ice charging” to an “ice cooling” mode during the day, this unit freezes 450 gallons of water in a tank. Consequently, this system can provide AC for up to six hours. Typically, this system works in conjunction with a conventional AC unit. As a result, it can revert back to that conventional unit once the ice has melted. Therefore, this system should not replace your conventional unit. Looking for More Renewable Energy Resources for Your HVAC System? Consult with the experts from OnTime Service! With years of proudly providing the best HVAC solutions, we are ready to help you tackle your needs today! For help from professionals you can trust, call us today at 251-272-3595 or fill out a service request form on our website!